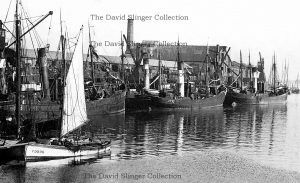 22.9.1904: Launched by Smith’s Dock Co Ltd, North Shields (Yd.No.754) for Henry Melling, Preston (managing owner) as the LIZZIE MELLING. 3.11.1904: Registered at Preston (PN45). Operated from Liverpool. 19.4.1905: Landed at Preston – 10 tons. 20.4.1905: Sailed for fishing grounds. 1907: Transferred to The Melling Steam Trawling Co Ltd, Fleetwood (Henry Melling, Preston, manager). 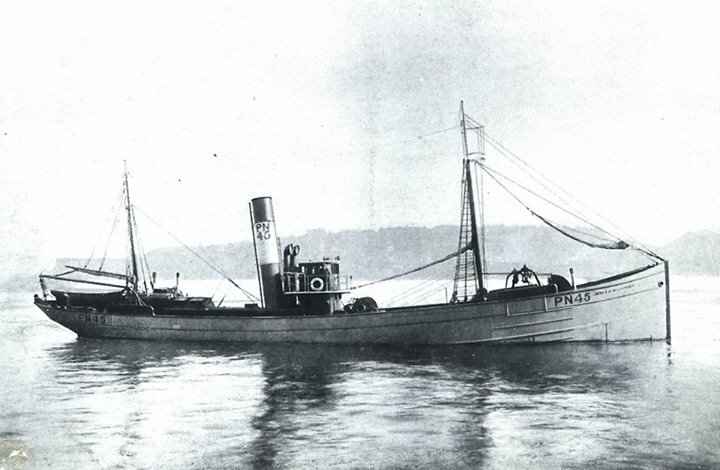 6.1915: Requisitioned for war service as a minesweeper at Aberdeen. 12.12.1915: Arrived Milford and commissioned (Ad.No.2511). Based Stromness. 1919: Sold to Thomas F. Kelsall, Fleetwood (managing owner). 1920: Sold to Melling Trawlers Ltd, Fleetwood (Henry Melling, Preston, manager). 1932: Owners restyled Mellings Ltd, Fleetwood (William Melling, Penwortham, manager). 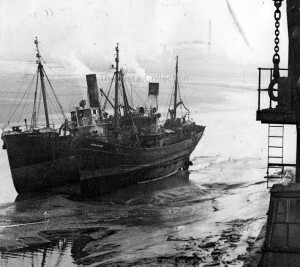 27.7.1953: Landed Fleetwood. Laid up. Pre-1956: Harvey Sucksmith, Cleveleys appointed manager. 6.1957: Sold to Hammond Lane Metal Co Ltd, Dublin for breaking up. The nobby ORIENT FD206, LIZZIE MELLING PN45 outboard of WRENTHORPE FD80 with MARTON FD38 ahead. 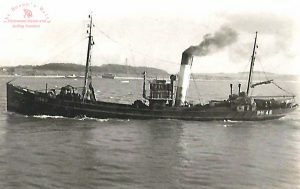 This entry was posted in Steam Trawlers, Steamers (Picture) and tagged H. Melling, Melling STC, Melling Trawlers, Mellings Ltd on January 19, 2009 by Fred Smith.